The cutting is super fast! Chevron Chic is a fun chevron design with a curvy twist. These chevrons are built for speed! 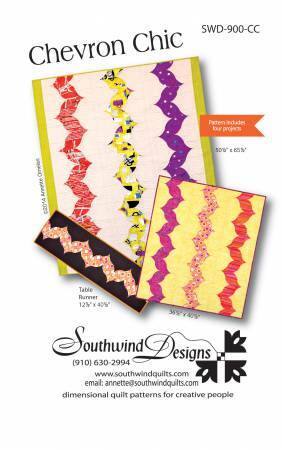 Just two fabrics and two different cuts make these super fast chevron bands, which can be used in many ways to decorate your table and home.